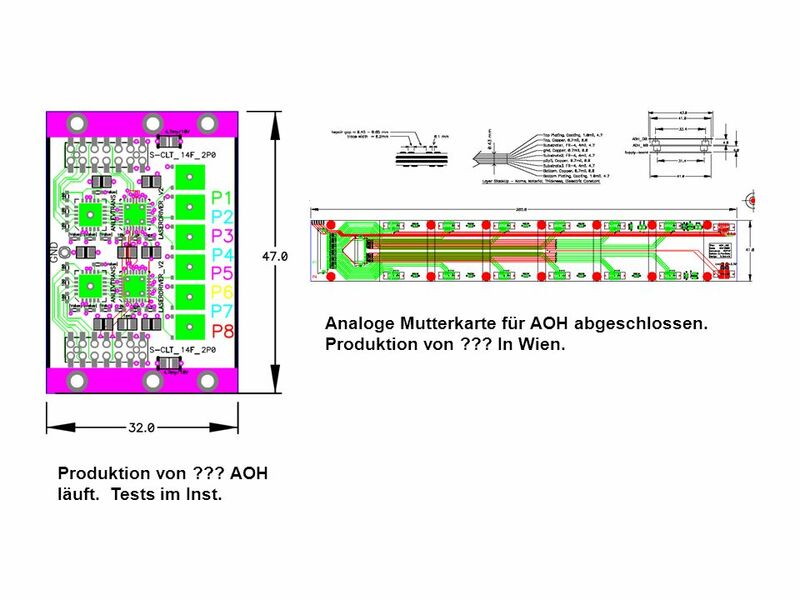 2 Analoge Mutterkarte für AOH abgeschlossen. 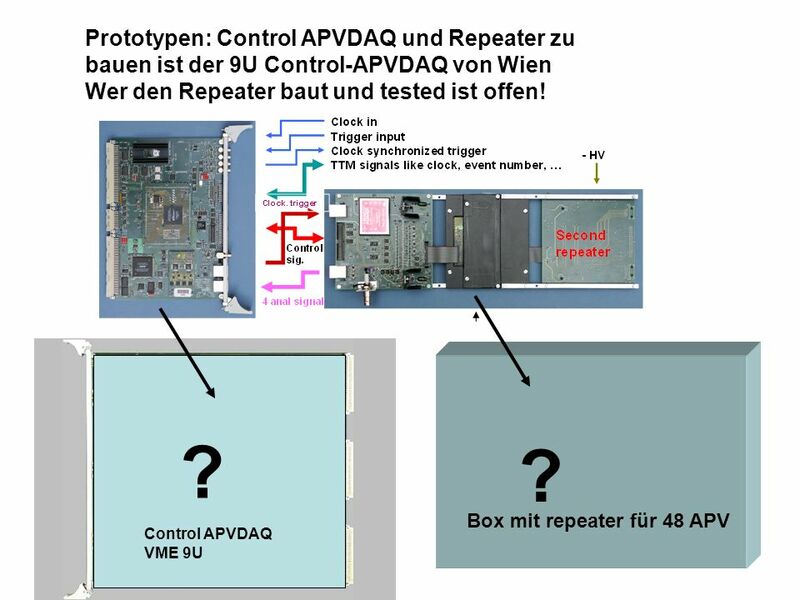 Produktion von ??? In Wien. Produktion von ??? AOH läuft. Tests im Inst. 3 Problem: cluster with 2 tracks with different times or not? Case: Problem: cluster with 2 tracks with different times or not? T(x) T(x) T(x) T(x) T(y) T(x) T(x) T(x) T(x) T(y) In a certain time (F (shaping time,..)) only one hit information on one stripe. 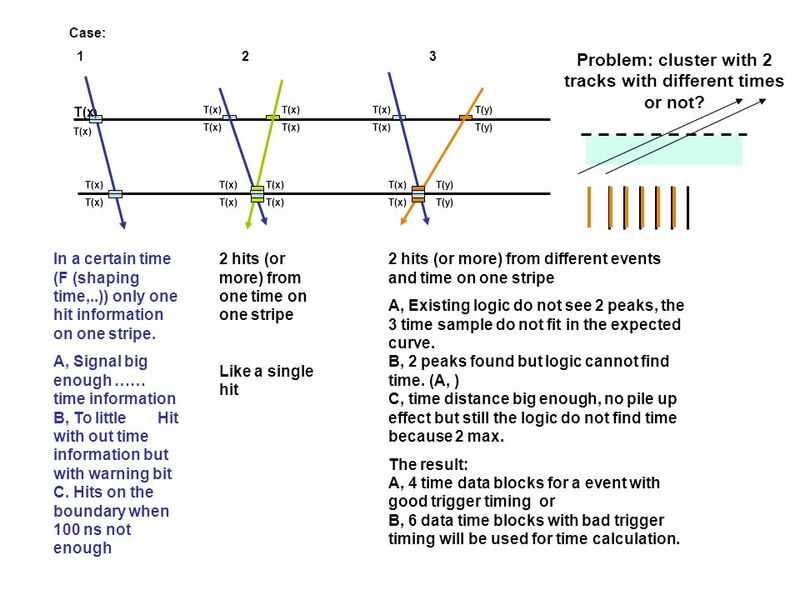 A, Signal big enough …… time information B, To little Hit with out time information but with warning bit C. Hits on the boundary when 100 ns not enough 2 hits (or more) from one time on one stripe Like a single hit 2 hits (or more) from different events and time on one stripe A, Existing logic do not see 2 peaks, the 3 time sample do not fit in the expected curve B, 2 peaks found but logic cannot find time. 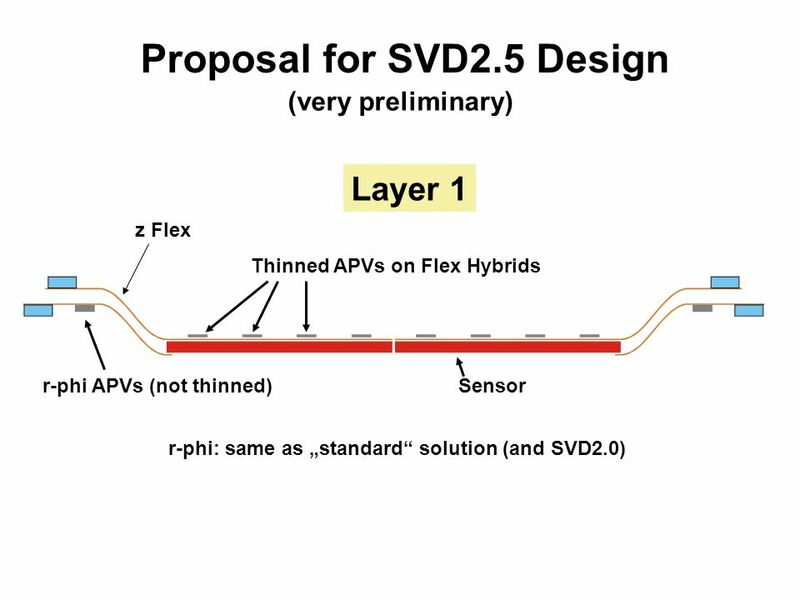 (A, ) C, time distance big enough, no pile up effect but still the logic do not find time because 2 max. 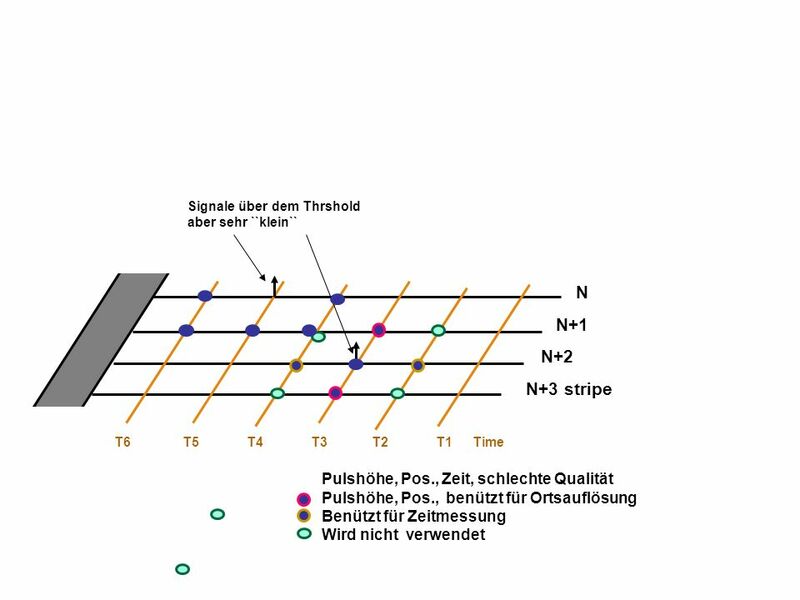 The result: A, 4 time data blocks for a event with good trigger timing or B, 6 data time blocks with bad trigger timing will be used for time calculation. 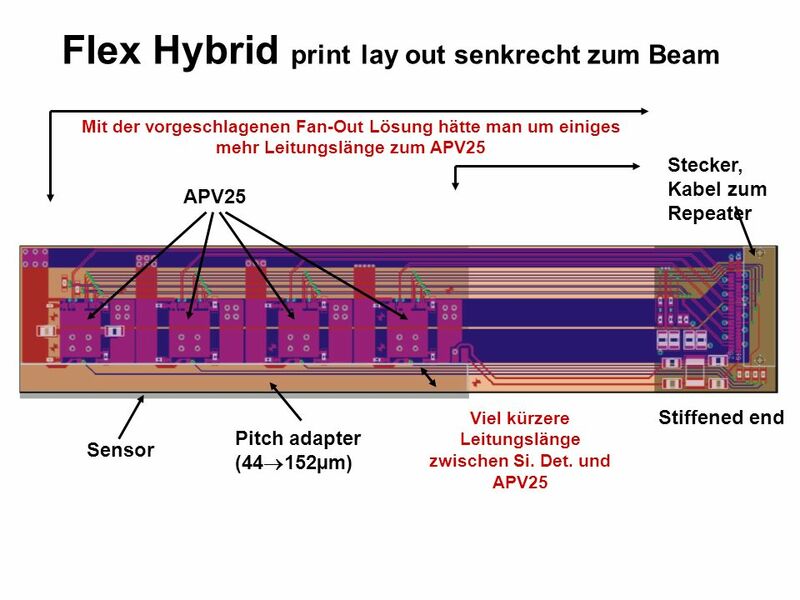 ~100 µm thinned ~<100 µm µm µm Fan hybrid Thermische Isolation Si Detector Vorteile: S/N um rund 1.8 mal besser. Wesentlich! Vieleicht auch leichter zu realisieren? Nachteile: um rund 10-12% mehr Material. 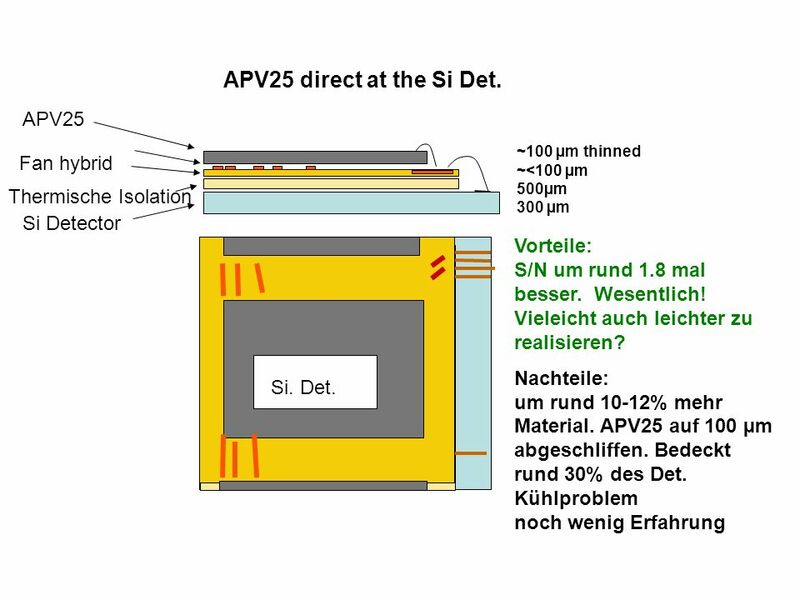 APV25 auf 100 µm abgeschliffen. Bedeckt rund 30% des Det. 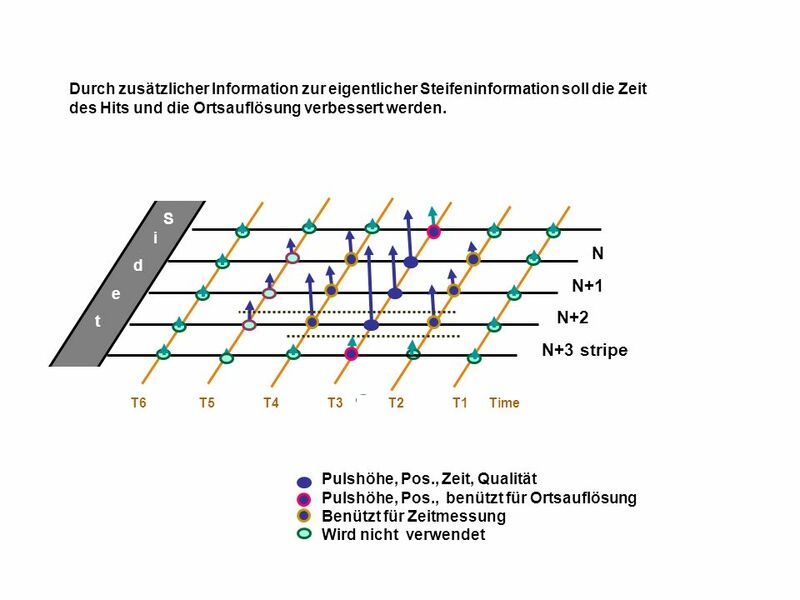 Kühlproblem noch wenig Erfahrung Si. Det. 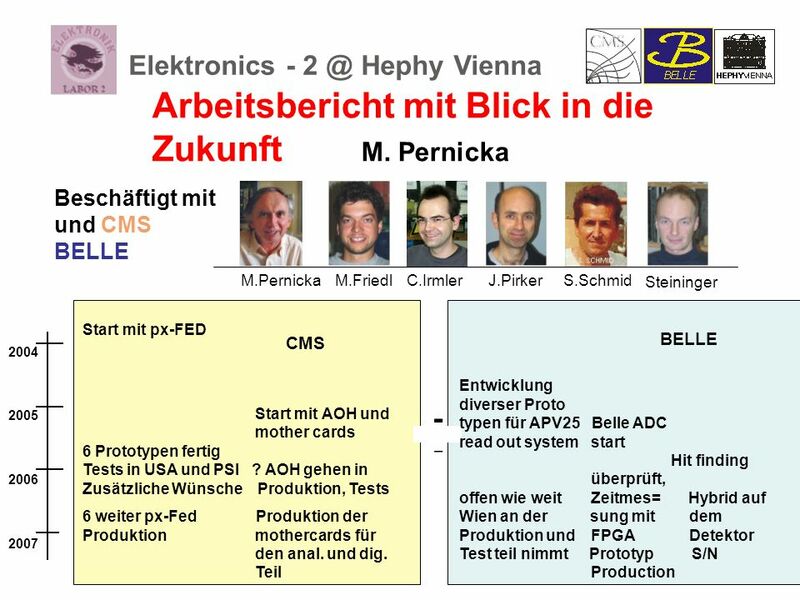 Herunterladen ppt "+ Arbeitsbericht mit Blick in die Zukunft M. Pernicka"